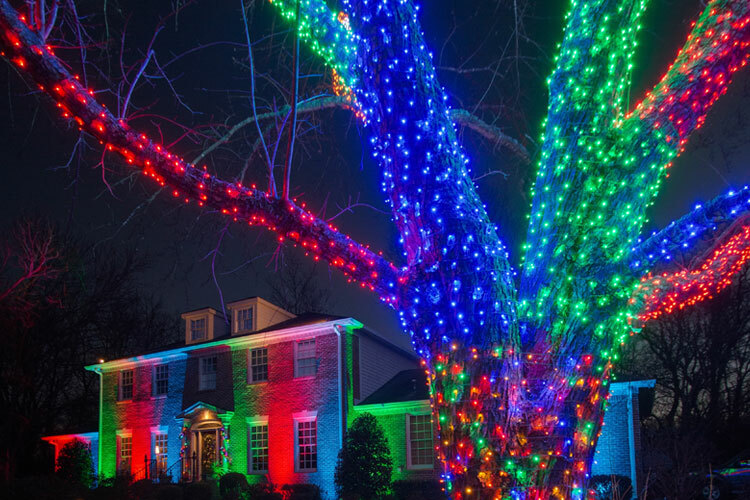 Outdoor Lighting Perspectives of Nashville is Central and Middle TN’s innovator when it comes to cutting-edge holiday lighting technologies. We are poised to provide our clients with the highest-quality outdoor lighting and the best design while staying above the curve of trending technology. 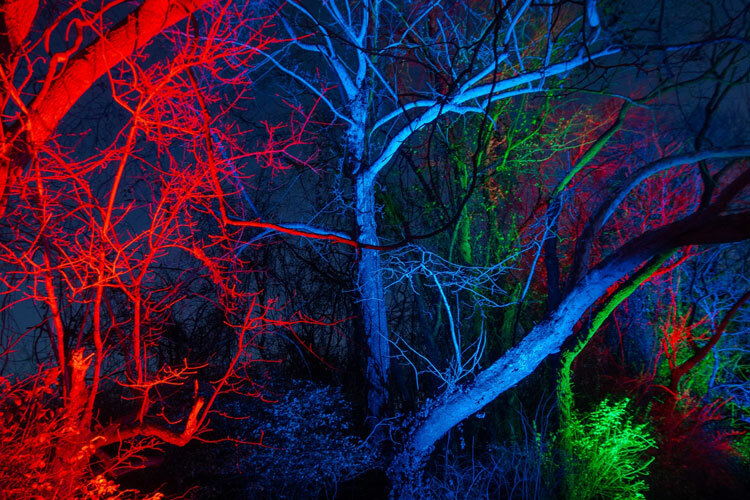 One of our newest outdoor lighting introductions for the holiday season is our color saturation LED outdoor lighting. 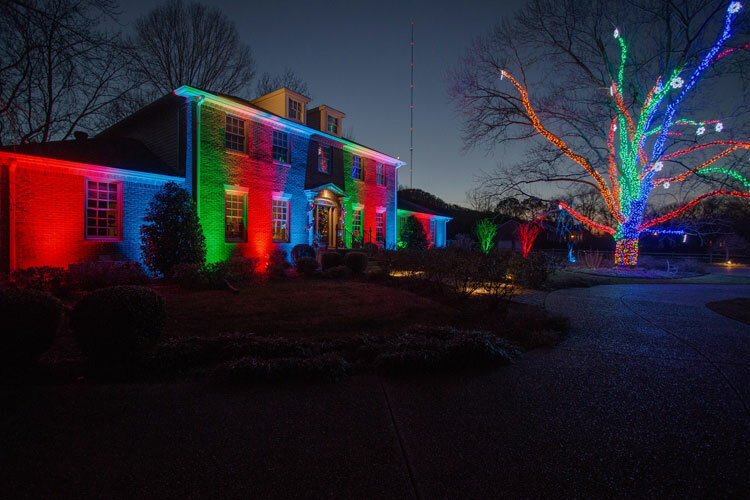 We used color saturation to achieve these dramatic results on this home in Brentwood, TN, during the holidays. These images speak volumes about the drama you could create for the upcoming holidays, special occasions or anytime you want to add pizzaz to your outdoor lighting scheme. You can also see more images of this amazing lighting installation by visiting our Houzz gallery. 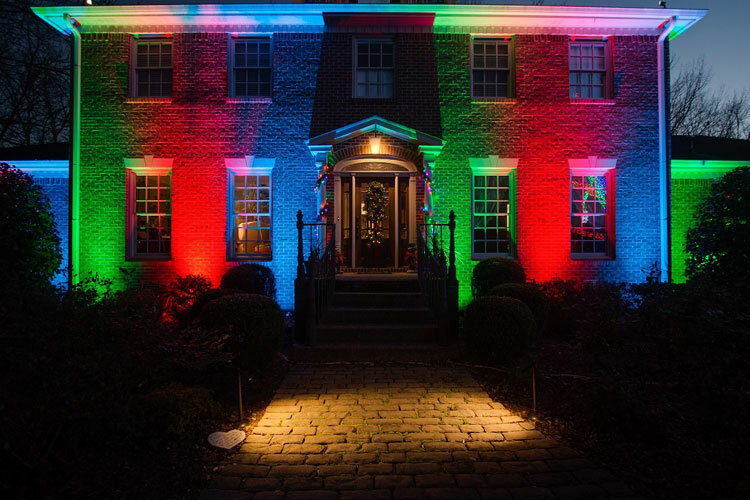 Traditional colored LED outdoor lighting is grand, however, our color saturation LED outdoor lighting takes color to a whole new level allowing you to change the color of your LED’s and your freedom of expression on a whim! Outdoor Lighting Perspectives of Nashville is now offering this capability for use with our LED up lighting and down lighting landscape lighting designs. Color saturation can be implemented via Bluetooth controls to create unique lighting effects using our RGB LED lights. This means you can customize the color of your lighting any time you want, for any occasion, holiday or mood, and just as easily return to traditional clear, at the drop of a hat.